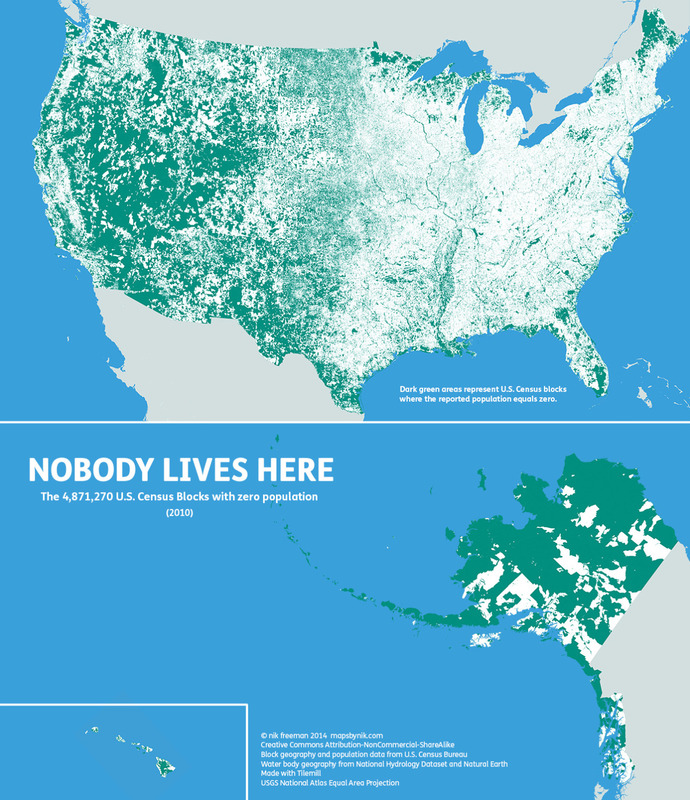 Who would’ve thought that there are still parts of the US where nobody lives? Well, there are still plenty of places like that. Looking to get a way from people for a while? Here is the map to help you do that!